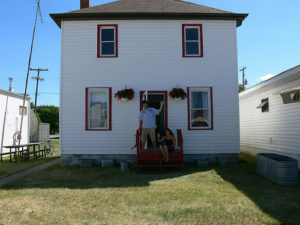 What if you could trade your way from a single red paperclip to a house? The notion seems outrageous and unobtainable, however one man succeeded. Kyle MacDonald at the age of 26 was sitting at his desk looking at a single red paperclip when he remembered a game called Bigger, Better. Bigger, Better is a game where you start off with something small and trade your way to bigger and better things. With this paperclip in hand Kyle wondered just how far it could take him and what bigger and better things lay ahead of him. So what did he do? 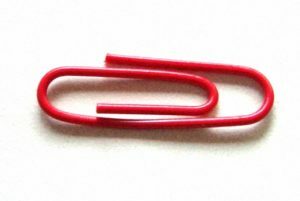 Kyle took a picture of his red paperclip and posted it on craigslist. Shortly after posting about his paperclip two girls Ronnie and Corina reached out. On July 14, 2005, he went to Vancouver and traded the paperclip for a fish-shaped pen. Awesome! 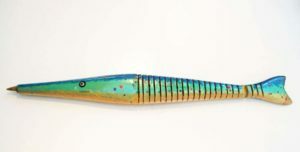 This fish pen is definitely bigger and better than a paperclip. Kyle was excited and wondered just how far this idea would go. Then on the same day he traded his fish pen with a woman named Annie for a door knob with a crazy face on it. Kyle’s friend Sean then reached out inviting to his place for burgers and to trade. 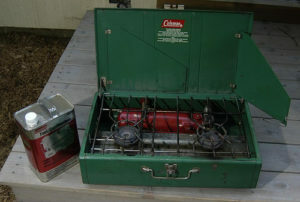 On July 25, 2005, he traveled to Amherst, Massachusetts and traded his door know for a Coleman camp stove with fuel. At this point Kyle realized that by trading his items he wasn’t the only one benefiting from this project, other people were too. “Moving liabilities into assets, we are creating value. We are improving each others lives, albeit on a small scale.” Srgt. David Jay of United States Marine Corp. reached out stating that he had been in search of that exact camping stove. 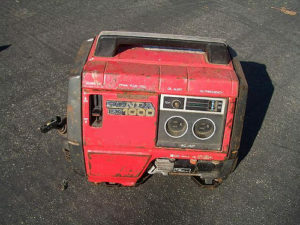 So on September 24, 2005, Kyle went to California and traded the camping stove for a Honda generator. 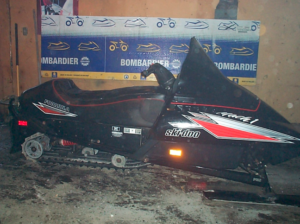 Michel Barrett, a famous comedian, radio show host, tv/movie actor in Quebec, reached out and said “I will trade you my worst snowmobile for that instant party.” Kyle was intrigued by the notion of “my worst snowmobile,” but was very excited to trade. Within a week of that trade, a snowmobile magazine reached out offering two trips for two people to the Canadian Rockies for the snowmobile. The only exception to the trip was that he couldn’t go to Yahk, British Columbia. Being told that he couldn’t go to the town Yahk, Kyle was interested in finding a loophole around it. In essence Kyle and his friends decided to black mail a national news agency (details unknown, Kyle briefly discusses it in his Ted Talk). While he was having an interview he was wearing this corporate shirt by Cintas. The head honcho saw Kyle wearing his shirt on tv and saw that it was huge liability but also an opportunity. 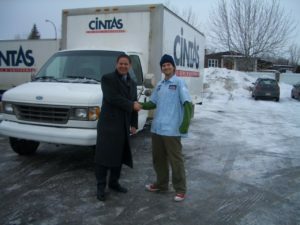 Cintas traded the trip for one of their box trucks. Kyle realized that the items he was trading were definitely getting bigger but how could they get better? He started looking for more opportunities rather than larger items. On Feb 22nd 2016 Kyle traded the box truck for a recording contract with Metalworks in Mississauga, Ontario. 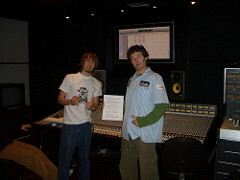 A recording contract, now that was definitely a big opportunity. As he tried to trade it turns out that almost everyone wants to be a recording artist. People started offering things such as their soul, their pinky finger, and someone even wants as far as offering their virginity. 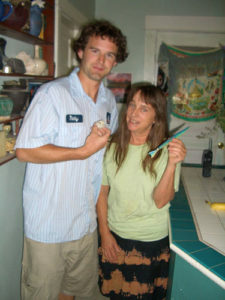 Kyle then met a lady named Jody who owned a duplex and offered him half of the duplex with a year of free rent for the recording contract. The next door neighbor Leslie found out about the trade and offered one afternoon with Alice Cooper for the year of free rent. Cooper’s band manager got in contact with Kyle and told him we are in tour and are in North Dakota how about you come out and see what an afternoon with Alice Cooper is like. 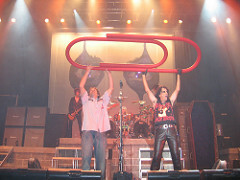 While live on stage Alice Cooper introduced Kyle and brought out this giant red paper clip. 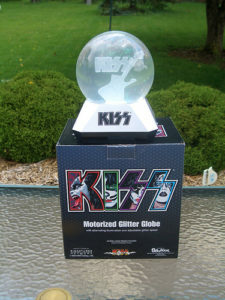 Kyle still had an afternoon with Alice Cooper to trade and out of all the things to trade for, he traded it for a Kiss snowglobe. 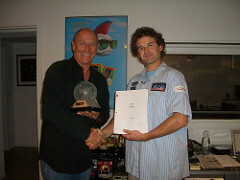 When Kyle traded for a snowglobe, the masses of people that were following his story called him crazy, insane, stupid, etc. However, what everyone didn’t know is that this was the first trade that Kyle had actually had another trade lined up. Two months prior to this trade a man named Corbin Bernsen reached out stating that he was a Hollywood director that was making a movie and I would like to offer a paid, speaking role in the film (Donna in Demand), would you be interested in trading for that? As it turns out Corbin has the worlds larget snowglobe collection (over 6,000 snowglobes) so when the opportunity arose to trade for a snowglobe, Kyle took it. Following this trade the economic director of the town Kipling reached out with an even better opportunity. As it turned out there was a few homes that the town owned and they offered to give Kyle a home if they could host a large celebration and have people come audition for the part in the movie, without hesitation Kyle agreed. 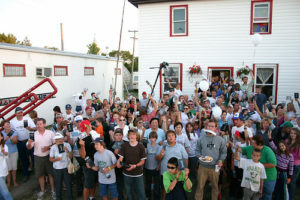 The town of Kipling is a population of just under 1,000 people, however for this celebration more than 3,500 people showed up. 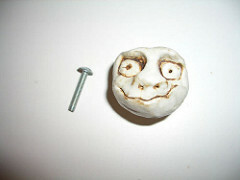 The part in the movie was eventually given to Nolan Hubert. And that is how you trade a paperclip for a house! 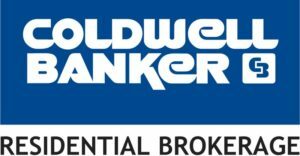 "We have worked with Nicole on two real estate transactions (selling, then buying) over the last few months. We could not have been more satisfied. 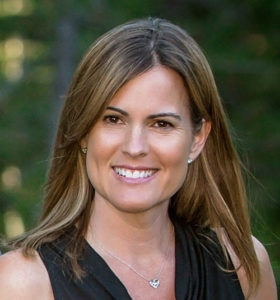 Nicole was very knowledgeable of the Truckee/Tahoe real... continued"